A few months ago, we interviewed Amy Hoff from Caledonia, a fantastic dark fantasy webseries set in Scotland with faeries, selkies, merpeople, and more. Now we have her back with an update! Amy Hoff (Desdemona) and Joshua Layden (Robert Burns) filming the scene where he is turned into a vampire. I understand the cast and crew were on a panel at Comic Con London; was that everyone’s first Comic Con? How was the experience? Alison Reid (Detective Inspector Leah Bishop), Joshua Layden (Robert Burns), Joseph Bell (Dylan Stuart), and Jan van der Black (Chief Inspector Benandonner) attended London Comic Con. They ran a table and were also on panels, both on the main stage and the steampunk stage. We’d previously spoken on the steampunk stage due to our association with Professor Elemental, whose song The Attic was used for our promotional video last year, and we’ll be working with him again, probably on an original song. We were also extremely fortunate to receive permission to use Dougie MacLean’s famous song Caledonia at the end of the season last year. Reception was extremely positive. According to the cast, most of the questions were about making your own web series, and on Scottish folklore. A lot of the people they met were from Scotland, and for them, Caledonia was interesting because they don’t often get taught Scottish history and mythology in school. So it’s an important aspect of the show, that Scottish people can enjoy their own heritage in this way. Other people were interested in the mythology as well, since our love of fantasy stems from the monster and ghost storytelling that’s always been an aspect of every culture around the world. 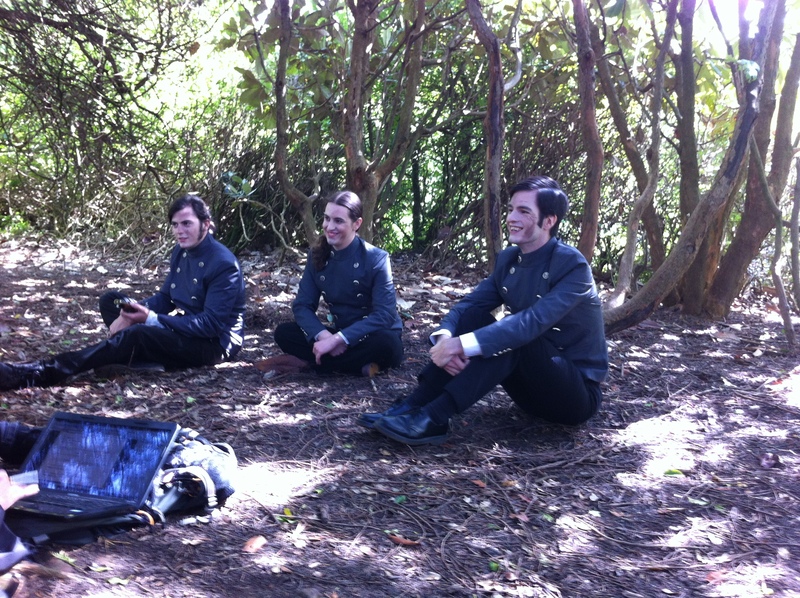 Joshua Layden (Robert Burns), Christopher Stanley (Magnus Grey), and Alasdair Reavey (Dorian Grey) filming the battle campfire scenes. We are currently in a quandary because the next project, Burns Night, was set to be a feature film, with Los Angeles talent attached. However, for the first time, I was unable to acquire a UK visa, effectively ending the project for the moment. We’re working on a solution to this issue, including the possibility of shooting it somewhere else. 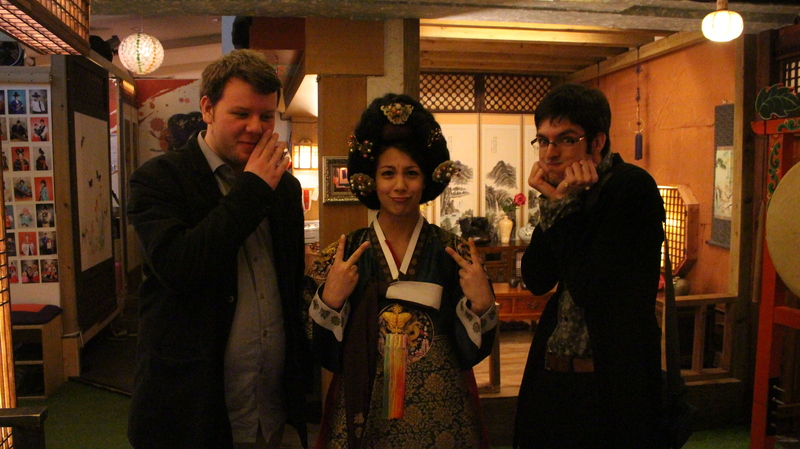 The next thing we’re doing is attending film festivals in Seoul. We’re an official selection at Korea Web Fest, the first web fest in Asia, because part of Caledonia was shot in Seoul last year. We’re also attending the Bucheon International Fantastic Film Festival, which takes place during the same month. 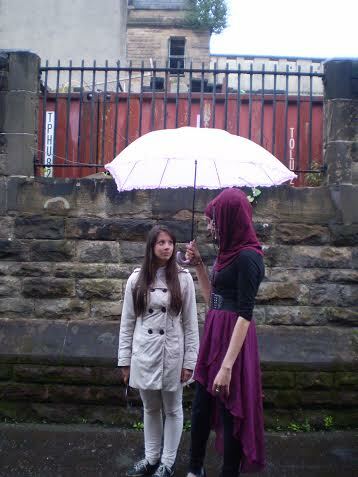 Naziyah Mahmood (Nour-el-ain) and Linn Mattisson (Lee Yoo Min) chatting on set in the rain. How are you approaching the feature film differently than the series? I’ve worked on Burns Night for several months, with various crew members. I’ve made copious notes on every single aspect of the show, because I believe in this story and I want it to be the best I can be. Viewing it as a feature film has also given the people involved a sense of pride, because while web series are still gaining traction, there’s always something more solid about saying you’re in a movie. The other aspect of this is that while there are many festivals and funding opportunities for film, those resources are not yet there for web series. So we wanted to try a different approach this time. 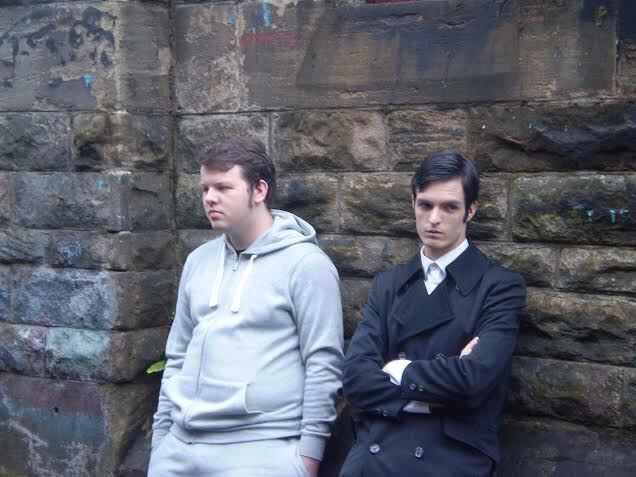 Joseph Bell (Dylan Stuart) and Alasdair Reavey (Dorian Grey) filming the alley sequence. What’s your favorite part of working on Caledonia? I love working with my cast and crew, watching the show take shape. The happy accidents are the best part, where an actor portrays a character in a way I wouldn’t have expected, or we find a particularly interesting way to shoot a scene. The finished product is always the most incredible part, when you see everything you worked together to create. I always believe in rewarding everyone afterwards, so we have some pretty spectacular cast parties. I often tell the actors I’m just in it for the parties, because you can’t have a cast party unless you make something first. That’s what it’s about. 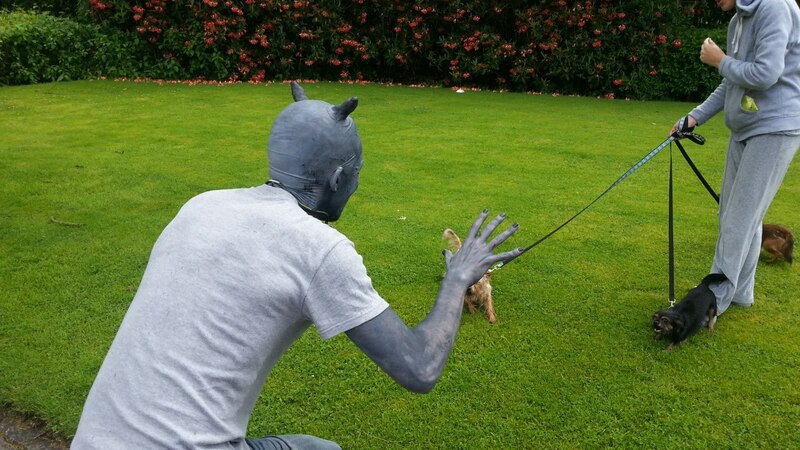 Honey (Christopher Honey – Gregoire) scaring some dogs. What’s it like to be both the director of the show and an actor? This is probably the most complicated aspect of the production. For the next show, I have an assistant director so we’re able to get the best product possible. I enjoy playing Desdemona, and given that her character needs to look believably male and female at different times, as an androgynous model I felt I could do her justice. However, it’s definitely easier to be behind the camera! Joseph Bell (Dylan Stuart), Linn Mattisson (Lee Yoo Min), and Alasdair Reavey (Dorian Grey) filming in Seoul for season 2. What have your experiences been like with fandom? Where can we find you, the cast, and crew on the web? We can be found at caledoniaseries.co.uk. 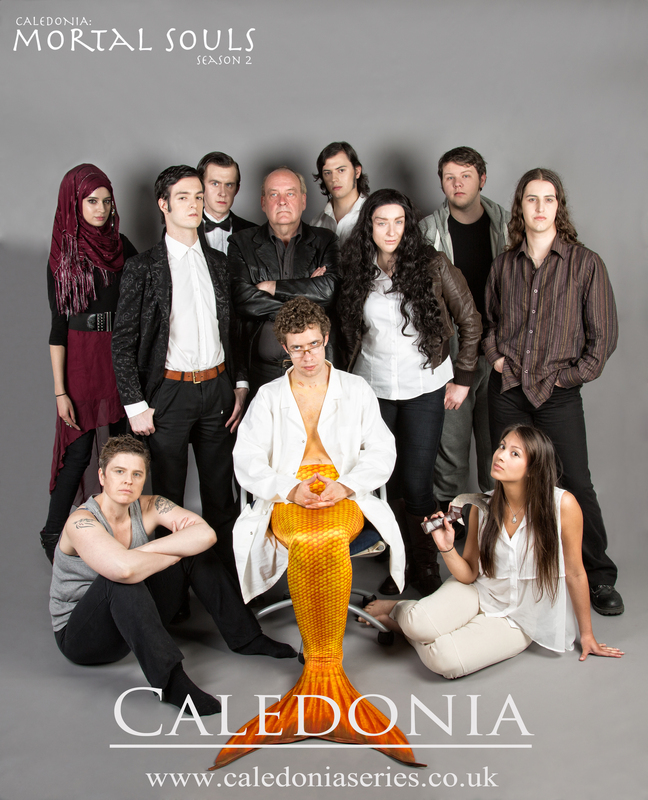 The novel Caledonia, which the web series was adapted from, was released by UK publisher Crooked Cat Books in February and can be found on Amazon.